Please join us for The Carrack Modern Art's First Annual Gala and Art Auction on October 13 from 6:00 - 10:00 p.m. The Carrack Modern Art will host an elegant evening featuring original artworks created and donated by Carrack artists. 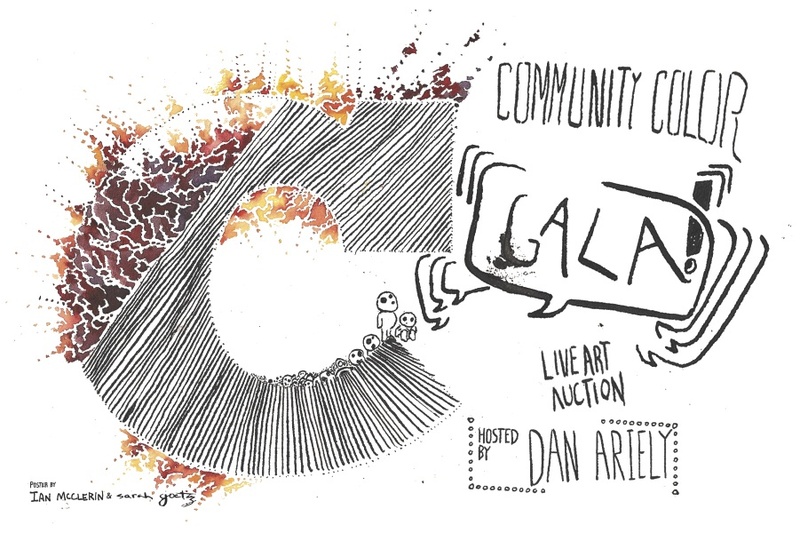 Guests are encouraged to bid on their favorite pieces in a fun live art auction event with New York Times Bestselling author and founder of Duke's Center for Advanced Hindsight, Dan Ariely. Before the auction, Dan Ariely will also give a short interactive talk and demonstration on international auction practices. Bidding begins at 7.30 p.m. and closes at 9.00 p.m.
Beer will be provided by Bull City Burger and Brewery, refreshments provided by Loaf with wine and heavy hors d'oeuvres. General admission to the Gala and Art Auction is $25. Limited tickets are also available to attend a special Champagne Preview Party from 5:00 - 6:00 p.m. that will give guests an exclusive opportunity to purchase works of art at the starting bid price before the auction begins. The Champagne Preview Party also includes a glass of champagne for each guest during an intimate gathering with Carrack artists and other Carrack supporters. Admission to the Champagne Preview Party starts at $100. Dan Ariely is the James B. Duke Professor of Psychology & Behavioral Economics at Duke University, where he holds appointments at the Fuqua School of Business, the Center for Cognitive Neuroscience, the School of Medicine, and the department of Economics. He is also the founding member of the Center for Advanced Hindsight. He is the author of two New York Times Bestsellers: 'Predictably Irrational: The Hidden Forces that Shape Our Decisions' and 'The Upside of Irrationality: The Unexpected Ways We Defy Logic at Work and at Home.' His new book "The (Honest) Truth About Dishonesty: How We Lie To Everyone - Especially Ourselves" just came out to rave reviews. Ariely’s research has been published in leading psychology, economics, and business journals, and has been featured occasionally in the popular press. He is a regular contributor to Marketplace on NPR.